The Navy and the Israel Air Force’s observation jets are following the various vessels en route to Gaza and are prepared to first deploy the Navy’s missile ships which are docked in Haifa, and then, the rest of the forces. Navy to sail boats to Ashdod The Navy hopes it will not have to use its extensive force and that the flotilla will retreat once its ships’ captains are warned. If this does not happen, Shayetet 13 officers are ready to take over the ships by force. Naval officers will board the ships and sail them according to the Navy commander’s orders. A similar force of Dvorah patrol boats and Shayetet 13 vessels will be awaiting the ships at the Ashdod Port where they will assist in the final interception and in unloading the passengers and the cargo at the port. An Israel Police force will also be waiting on the shore, in order to prevent provocations and riots by the flotilla’s passengers. The Navy’s decision to deploy such a large force for a relatively simple mission follows a decision by the prime minister, defense minister, and forum of seven top cabinet ministers not to allow the ships to arrive in Gaza under any circumstances, even if Israel is forced to pay a hefty price in the PR arena and in the international community’s eyes. When everything they do is already illegal there can be no slide into legal measures. The state of Israel proclaims itself a rogue entity with every action. The pressure should be on the EU and the USA to publicly acknowledge this. The point of pressure in the west should be on the corrupt and biased media empires and their lapdog underlings. I’m very confused. 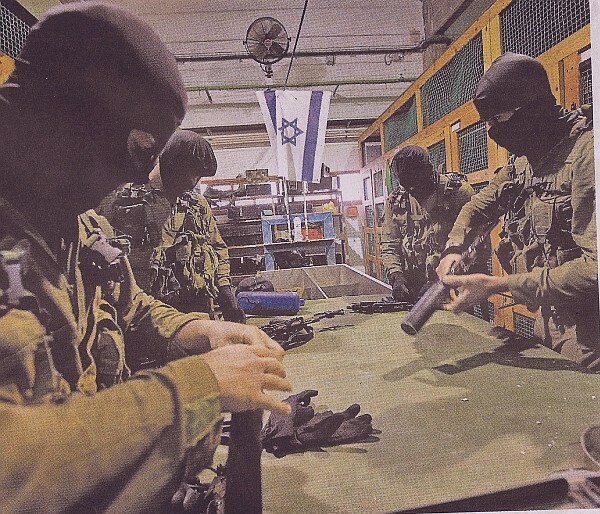 If the Israeli gunmen will be acting legally pursuant to international law (our Western “way of life”), then why do they need to wear masks*? Am I missing something? *P.S. Where is Professor Alan Dershowitz when we need him? Oh that’s right, he’s in Israel! When Israel sent humanitarian aid to Haiti following the earthquake, Netanyahu is quoted as saying that “Israel is a little country with a big heart”!! What a joke!! Masked, Missing and Mossad – Are the Three Connected?